Did you know that the 1941 series of Malaya banknotes do not have solid numbers? The notes were produced such that the largest serial number is only 100000. 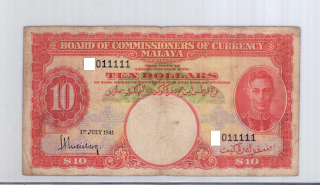 This means that for every prefix of the banknote printed, there were only 100,000 pieces. 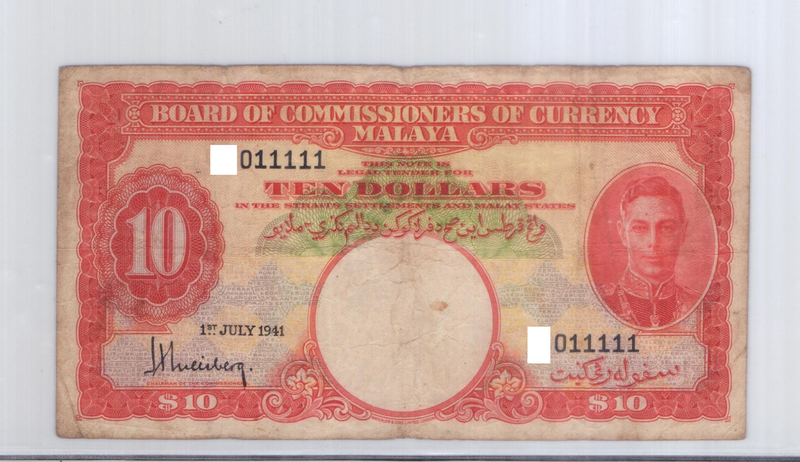 Thus the solid number for this series of banknotes has always been considered as the following: 011111, 022222, 033333, and so forth until 099999. 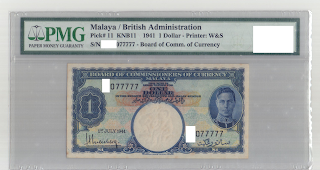 During grading, PMG and PCGS doesn't comment that such serial are solid numbers. 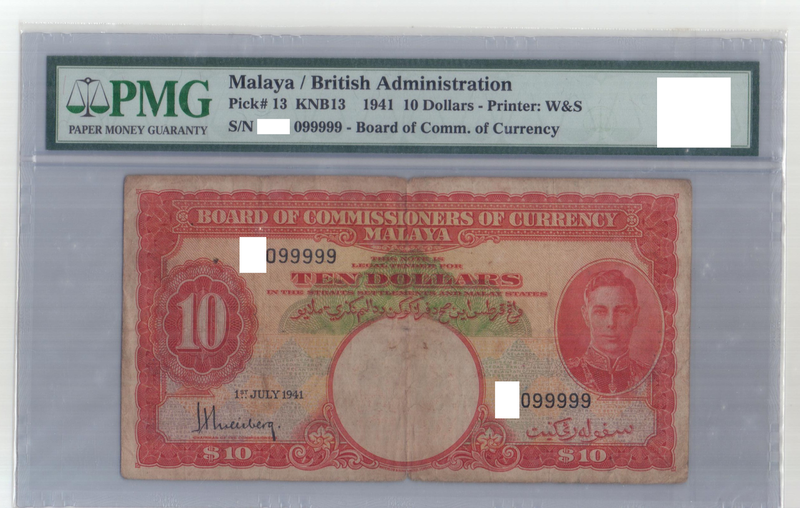 Nonetheless, what's important is that collectors understand the real value of these notes - They can't be more solid than it already is!